Who lives in a pineapple under the sea? SpongeBob SquarePants does, along with Squidward, Gary, Patrick, Sandy, Mr. Krabs, Plankton and Karen the computer wife. Since 1999, the Nickelodeon series has dominated kid culture, sold millions in merchandise and spawned two hit movies. Grab a Krabby Patty and dive below the waves to explore some things you probably didn't know about the yellow and absorbent SpongeBob SquarePants. SpongeBob creator Stephen Hillenburg graduated from Humboldt State University in 1984 with a degree in marine biology. He was teaching the subject at California's Orange County Marine Institute when he created Intertidal Zone, a campus comic book about sea life. Among the characters: a joyfully dim sponge creature. Hillenburg eventually moved on to pursue animation full-time, landing a job as creative director of the Nickelodeon series Rocko's Modern Life. One of the show's animators convinced him to develop Intertidal Zone into its own show, and Hillenburg came up with an underwater city populated with quirky sea creatures. When he pitched it to Nickelodeon in 1997, he reportedly placed a filled fish tank on the conference table and described all the different creatures inside to the assembled suits. Then he dropped a cartoon drawing of SpongeBob into the tank and said, "This is the star of your new show." SpongeBob SquarePants debuted two years later. 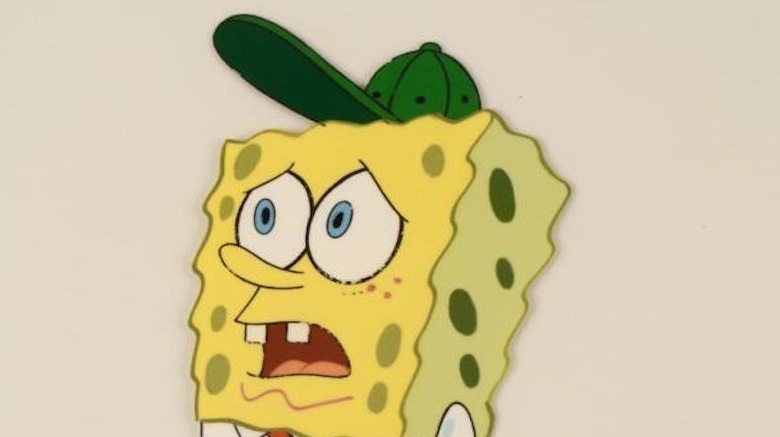 When Hillenburg came up with his first ideas and sketches, the main character was named "SpongeBoy" and the show was called SpongeBoy Ahoy! until he learned the name had already been copyrighted by a brand of mops. Hillenburg changed "boy" to "Bob" and made another significant change to the character: he removed his green hat. But the character's personality was there from the beginning. Hillenburg aimed to create a "young, boyish" character, in the style of Pee-wee Herman or Laurel & Hardy. 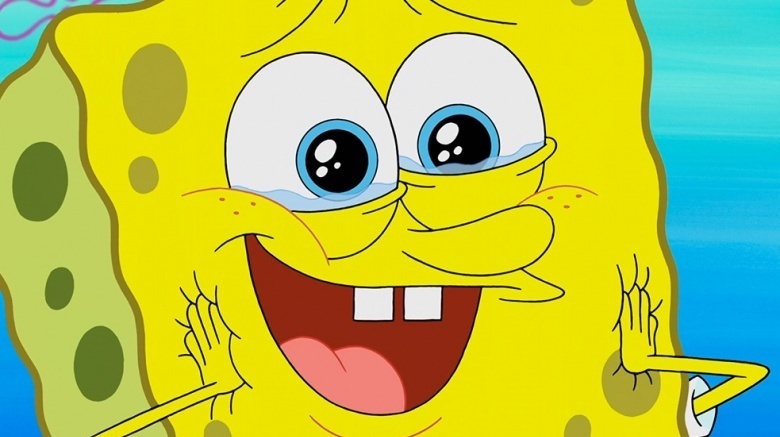 To bring SpongeBob to life, Hillenburg asked Rocko's Modern Life voice actor Tom Kenny to use the same high-pitched voice he once used for an obscure, unnamed background character on that show. It's always been difficult to figure out if SpongeBob is a teenager or an adult. He's in Driver's Ed all the time and seems pretty immature, but he also lives on his own and holds down a full-time job. 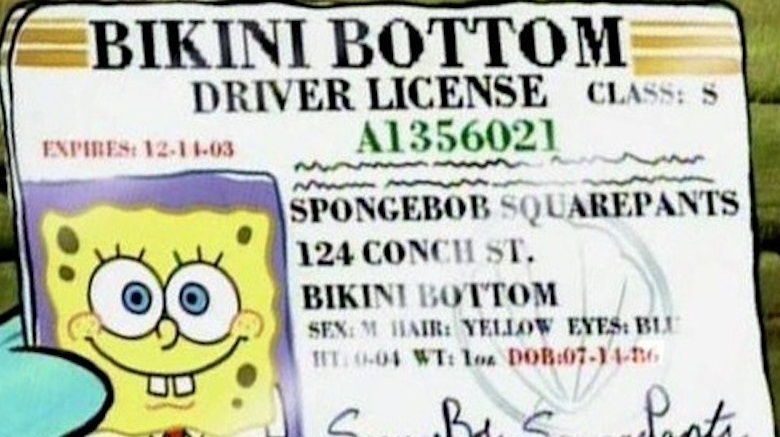 In one episode, however, viewers get a glimpse of SpongeBob's driver's license and it clears everything up – sort of. It says SpongeBob's birthday is July 14, 1986, which means he would have been 13 when the show hit the air in 1999, and he'd be 30 now. 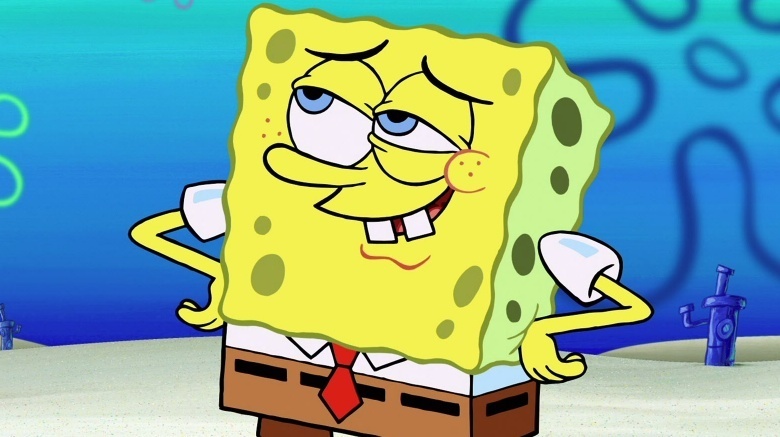 Another fun fact revealed: SpongeBob's hair is listed as "yellow," which means he does have hair and isn't just a solid mass of yellow sponge. According to a popular fan theory, each of the seven major characters on SpongeBob represents one of the seven deadly sins. It's just a theory, but it's certainly compelling — and it kind of checks out. For example, Gary represents gluttony because he only cares about food; Patrick is sloth because he's lazy; Sandy is pride because she's very prideful; Plankton is envy because he's always devising ways to steal the Krabby Patty recipe; Mr. Krabs is greed because he loves money; and Squidward is wrath because SpongeBob and Patrick are always making him angry. As for SpongeBob? He's could represent lust, because he has an unbridled passion for pretty much everything. In 2003, Spike launched a late night, Adult Swim-style animation block, anchored by Pamela Anderson's Stripperella and a new, more sexually graphic version of the Nickelodeon classic The Ren & Stimpy Show called Ren & Stimpy Adult Party Cartoon. 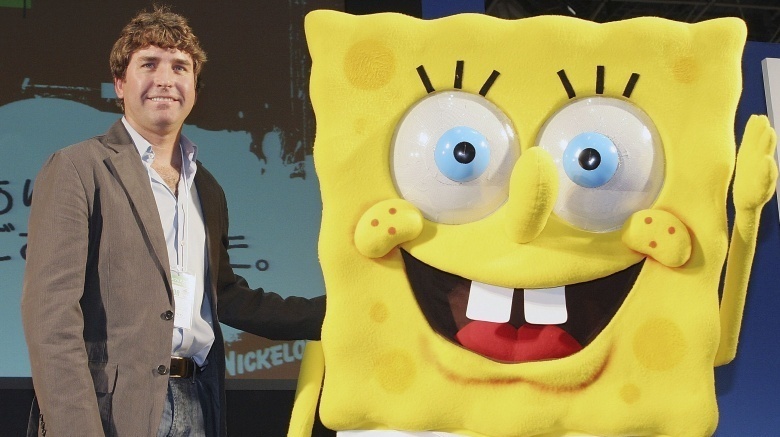 Executives from Spike approached Stephen Hillenburg to make a similarly ribald SpongeBob for adults only, but he outright refused, even though Nickelodeon had final say. The network agreed with him and refused to sell the rights, preventing the world from seeing SpongeBob and Sandy (or maybe SpongeBob and Patrick?) finally get freaky. SpongeBob's hometown of Bikini Bottom is said to be located beneath Bikini Atoll, site of U.S. atomic bomb testing in the '40s and '50s. It's also not far from the tropical island of Borneo where, in 2011, researchers from San Francisco State University found a new species of mushroom. 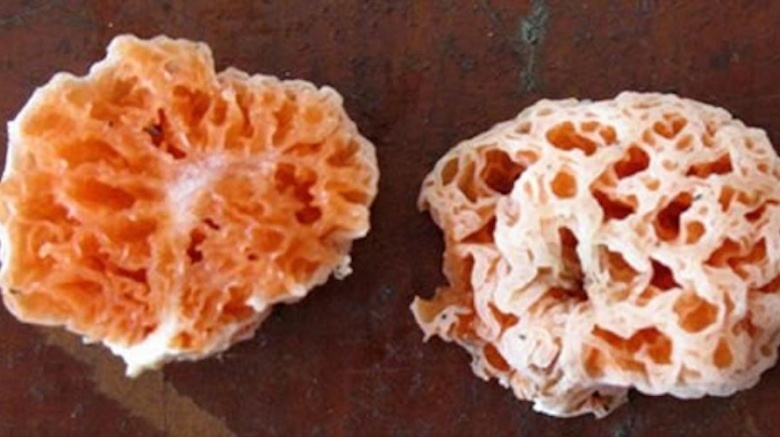 Because it's shaped like a sea sponge and is an actual member of the genus Spongiforma, researchers thought it would be fun to name it in SpongeBob's honor. The official scientific name: Spongiforma squarepantsii. When placed under an electron microscope, areas of the spongy fingus look like a seafloor — or Bikini Bottom. 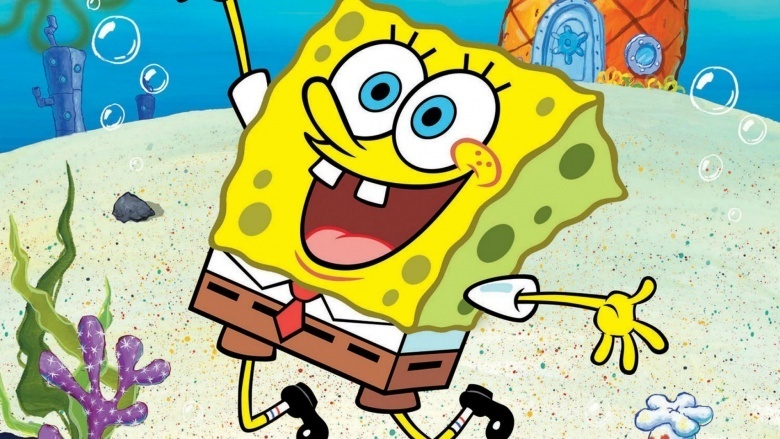 While Rugrats and The Fairly OddParents both enjoyed runs of more than a decade, no Nickelodeon series has endured quite like SpongeBob. The network aired 201 episodes between 1999 and 2011, and even the reruns still rank among the top of the cable ratings. 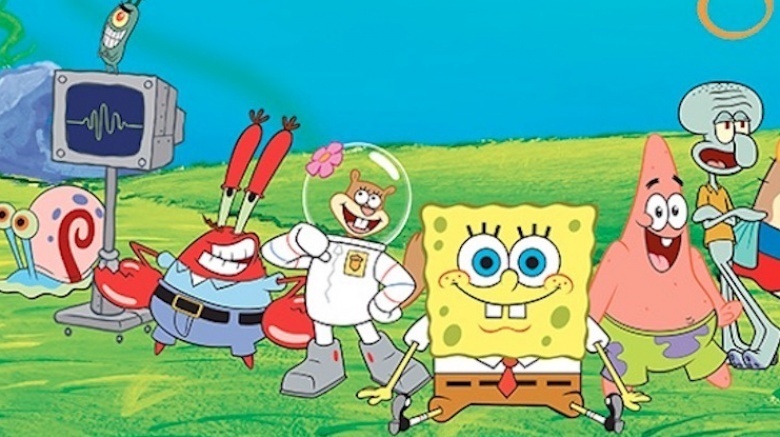 Hillenburg had originally planned to end the show more than a decade ago with 2004's The SpongeBob SquarePants Movie. But the film did so well that Nickelodeon asked (and kept asking) for more episodes.